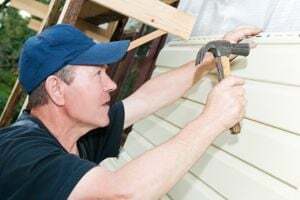 Comment: In preparation of an exterior painting, I have several pieces of exterior wood trim that need to be replaced on both first and second stories of the home. Comment: I have a couple fascia boards, misc window trim, and about 6 decorative beams that need to be replaced. I don't believe this will be over a full days work. Comment: Would like to get an estimate for new stucco or replace and paint old siding on 2 story house. Some dry rot is visible. Comment: Remove and reinstall damaged wood composite siding on one side of house. Replace damaged wood window trim on one window. Castro Valley Siding Contractors are rated 4.63 out of 5 based on 265 reviews of 16 pros. Not Looking for Siding Contractors in Castro Valley, CA?